3D Database - Ultimate 3D Database Mega Site for 3D Information, Directory, Graphics, Games, Electronics, Animation, and more. Buy and own land in one of the most ambitious and innovative Virtual Reality worlds of today. We are creating an Open, Social, Virtual Reality world. A world with its own economy and its own currency. 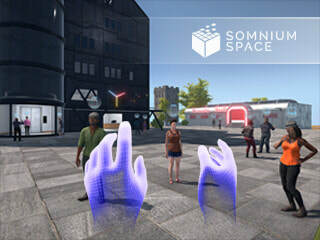 A VR world with its own Marketplace, Games, Social experiences and Virtual Land ownership. A VR world which is fully interconnected and seamless. Fully accessible from any device from 2D mode on a user’s Desktop to fully immersive VR mode on a user’s Desktop or Mobile. Welcome to the world of 3D Database. As the world of 3D grows, becomes more popular, and prevalent in our everyday lives so will 3dDatabase.com. It is our mission to bring you a comprehensive database of everything 3D related. 3dDatabase.com is only in its infancy stage and has not truly launched yet. The pool of 3D data is so huge and ever growing with the popularity of the technology. It is 3dDatabase.com mission to bridge that gap and bring all that information to one place. What will you expect to see on 3dDatabase.com. You will even see 3D Games (game engines/game designing). As new technologies in 3D develop, we will include them on out database. 3dDatabase.com is the Ultimate 3D Database Mega Site for 3D Information, Graphics, Games, Electronics, Animation, and more.